I'm not sure how I missed this site, but there is a really cool blog about San Jose oddities, urban legends, and interesting stories. It's called Searchlight San Jose and you can access it right over here or by using the blogroll to the right. I love the writing style and there are quite a few tidbits in there that were completely new to me. 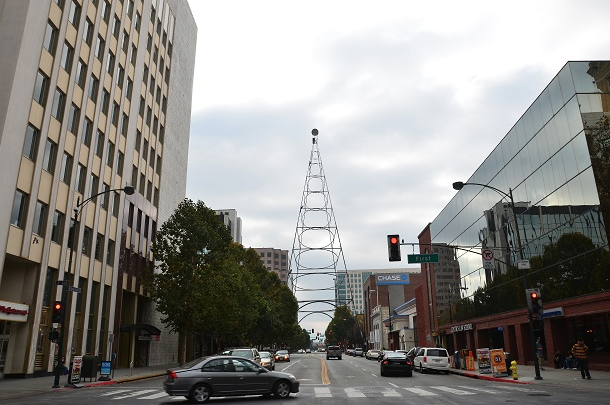 As a teaser, below is what Downtown San Jose would look like today if the Electric Light Tower was still here. Click here to read Searchlight San Jose!